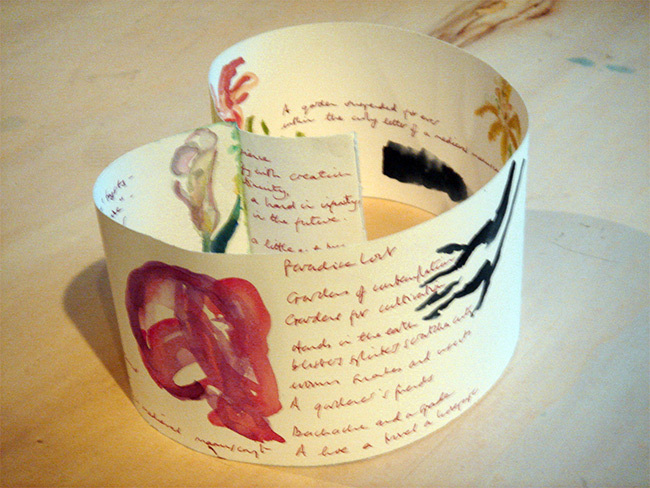 Unique free-standing sculptural book with images of figure, hands, plants, abstract and organic forms hand-painted in watercolour on paper retro and verso and the artist’s “Secret Gardens” prose poem hand-written in red ink between the images recto and verso. 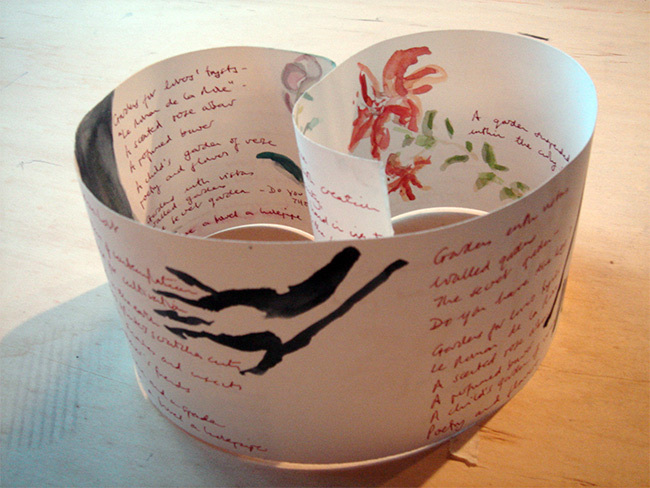 Can be opened up to be read and viewed like a scroll and may be manipulated into different forms for display e.g. spiral, semi-circle, circle, so size is variable. Size of sheet when stretched open 10 x 70.5 cm. Signed and dated by the artist.